On this page, you can free download owner's and service manuals for such MTR Marine outboard motors as: MTR Marine T 2.5, MTR Marine T 2.6, MTR Marine T 3.5, MTR Marine T 3.6, MTR Marine T 4, MTR Marine T 5, MTR Marine T 9.8, MTR Marine T 9.9, MTR Marine T 15, MTR Marine T 20, MTR Marine T 25, MTR Marine T 30, MTR Marine T 40, MTR Marine F 2.5, MTR Marine F 2.6, MTR Marine F 4, MTR Marine F 5, MTR Marine F 6, MTR Marine F 8, MTR Marine F 9.9, MTR Marine F 15, MTR Marine F 20, MTR Marine F 25. 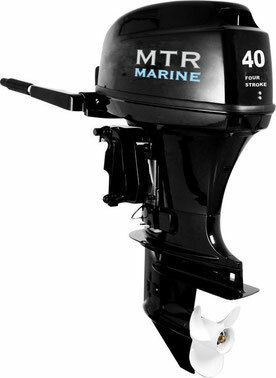 MTR Marine outboard engines are manufactured in China, at a factory in Hangzhou. After assembly, all MTR Marine motors are factory tested in water. The range of outboard motors includes both very reliable lightweight and low-cost two-stroke engines, as well as more high-torque four-stroke engines, containing many new technical solutions and innovations. Important features of the MTR MARINE motor series are high reliability and performance, an optimal ratio of motor weight to its power.